The current automotive industry seems determined to do away with the traditional gear shifter, whether drivers like it or not. So far, the results have been, shall we say, less than stellar. With the debut of the 2018 GMC Terrain, GMC is up next to introduce a brand new shifter design. While other automakers looked to replace a traditional stick shift transmission with a rotary dial, GMC is set to implement a series of buttons and toggles. Both the six-speed and nine-speed variations of the new Terrain will utilize this new shifting system. 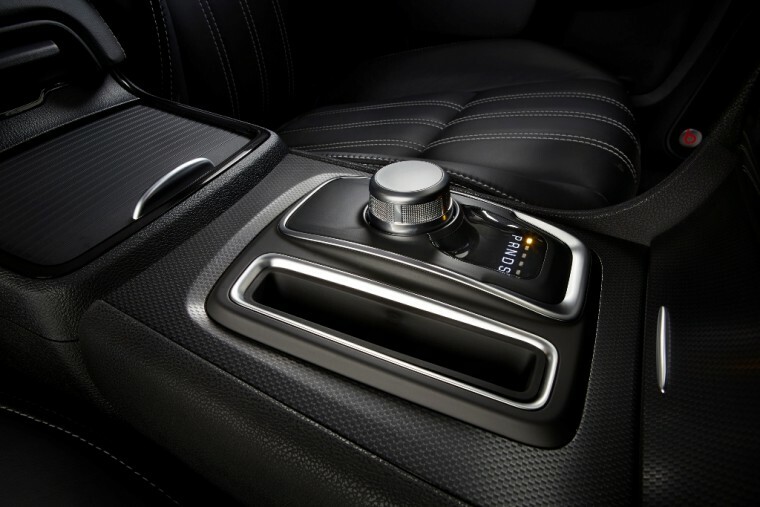 Dubbed the “Electronic Precision Shift,” GMC’s transmission interface is comprised of three push-buttons and two switch toggles. The toggles control the “reverse” and “drive” gears. Drivers must first put their foot on the brake, then reach behind the toggle switch for either “reverse” or “drive” and pull it forward. This distinct motion is designed to distinguish activating “reverse” and “drive” from activating any of the transmission’s other gears. The “park,” “neutral,” and “low” gear functions are activated by pressing buttons instead. The control panel for the Terrain’s transmission is placed below its air conditioning and radio controls. 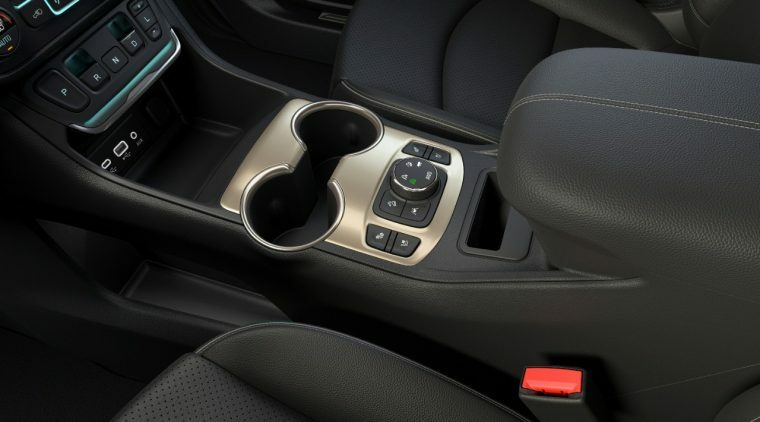 This move frees up the space once occupied by a traditional shifter for more cup holders and storage underneath. 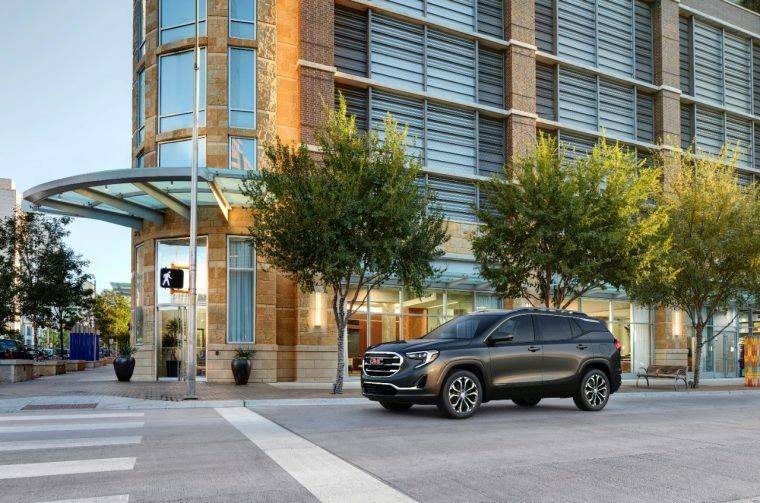 GMC’s decision to shift the transmission’s location from its traditional placement follows a growing trend in the automotive market, especially in the luxury segment. Automakers are looking for more creative ways to add storage space to the front rows of their vehicles. This is not the only reason vehicle manufacturers are moving transmission shifters. Rick Spina, the executive chief engineer for compact SUVs at General Motors, says that this design will most likely be the kind used by autonomous vehicles, as self-driving cars will use electronic controls rather than a stick shift. Other automakers, such as FCA, decided to implement a rotary dial design for their new transmission controls. However, this decision generated unexpected results. FCA recently recalled 1.1 million Chrysler, Jeep and Dodge vehicles with the new shifter design. Due to their rotary-based controls, the shifters confused many drivers, who were often unaware of which gear their vehicle was currently in. The system has been cited as being involved in 121 crashes and 41 injuries. Due to this, public perception of new transmission designs began to grow sour. GMC argues that by using a button and toggle design, the shifting of gears will be clearer, and thus safer. Furthermore, the system reportedly has a number of fail-safes in place to properly react to driver error. If drivers accidentally hit the “park” button while going 30 mph, the vehicle will not suddenly stop, instead alerting drivers to the fact that they have attempted a prohibited shift. Meanwhile, if drivers accidentally open a vehicle door while it is in “drive,” the parking function will automatically activate. Whenever the vehicle is in “park,” the parking brake automatically engages. This function is designed to prevent any rollaways. GMC was so confident in its transmission design that it invited numerous automotive journalists out to test it. As a whole, those journalists found the system to be rather safe and surprisingly user-friendly. One major complaint surrounding this setup is that the “low” gear controls are placed at the far right end of the panel. If drivers want to shift using the plus or minus settings, then they will certainly have to stretch. The real test, however, will come when the 2018 GMC Terrain becomes available to the driving public. After all, most drivers are used to the good old stick shift transmission, and accepting a new system is easier said then done. “It’s a risk when you redo a system and move away from something everybody knows how to operate,” Brinley stated. If the new transmission is in fact generally well-received, then we can expect to see it in GMC vehicles from this point moving forward.